For this weekend we’ve chosen three party dresses to suit any budget; they also look quite demure at a glance, but actually have twist, whether it be cut outs, or a delicate lace. Black party dresses are classics but who says fuschia can’t be either! 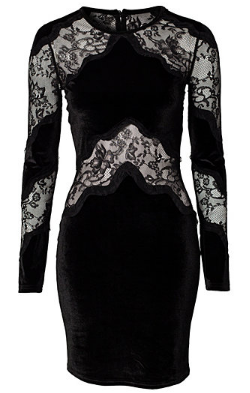 The Carmen Marc Valvo Sleeved Lace Cocktail Dress will set you apart from the crowd with its luxurious lace and shocking pink party dress colour. Add minimal jewellery and hot pink lipstick for a sophisticated but modern party look. Dark Pink is a brand we follow for its unique take on LBDs. Right on trend, the See Through Dress is a real show stopper, people will definitely comment about its distinctive sequin pattern. Mix it up with bright accessories. The NLY Dare Dress isn’t called Dare for any reason. This short party dress is almost backless with a lace panel, and cut out lace sides. 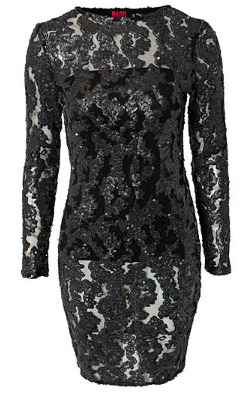 Turn heads in this illusion dress, but don’t tell anyone it’s a bargain to rent from £29! Posted November 8th, 2013 in GMD Daily. Tagged: Cocktail dress, cocktail dresses, Designer dress, designer dress hire, Designer dresses, Dress Hire, dress of the week, Dresses, Evening Dresses, Girl Meets Dress, hire cocktail dresses, Hire dresses, party dresses, Prom dress, rent celebrity dresses, Rent designer dresses, rent dresses, short dresses.